Thom Yorke is an enigmatic rock icon whose whims are often difficult to pin down. Sometimes he’s the guy from Radiohead, sometimes he’s a cover model for a book about sexual problems. Sometimes he hates Spotify, and sometimes he likes Apple Music. 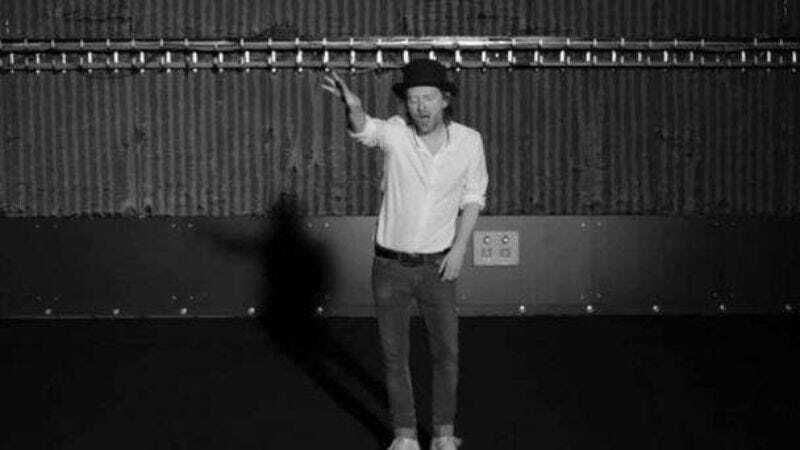 Now, Yorke has written some original music for a Broadway revival of the Harold Pinter play Old Times, and we’re not sure if that’s not weird at all because there’s nothing inherently weird about writing music for Broadway, or if it’s totally weird because everything Thom Yorke does is a little weird. Pinter’s play is about a married a couple being visited by an old friend of the wife, and the visit turns into a whole big love triangle thing full of menacing drama. Yorke’s compositions—which are apparently made up of “shards of keyboard-based instrumental music”—will appear at the beginning and end of the play, as well as during transitions from one scene to the next. The play is set in 1971, so Yorke reportedly recorded all of his songs on equipment from that year, and though none of the music has lyrics, some of it apparently features Yorke making some kind of vocal noise. Old Times will start doing previews on September 17 at New York’s American Airlines Theatre, and the show will star Clive Owen, Eve Best, and Kelly Reilly.